The star has been telling Chris Moyles that Who Built The Moon? is that good, he doesn’t mind if it gets leaked early! 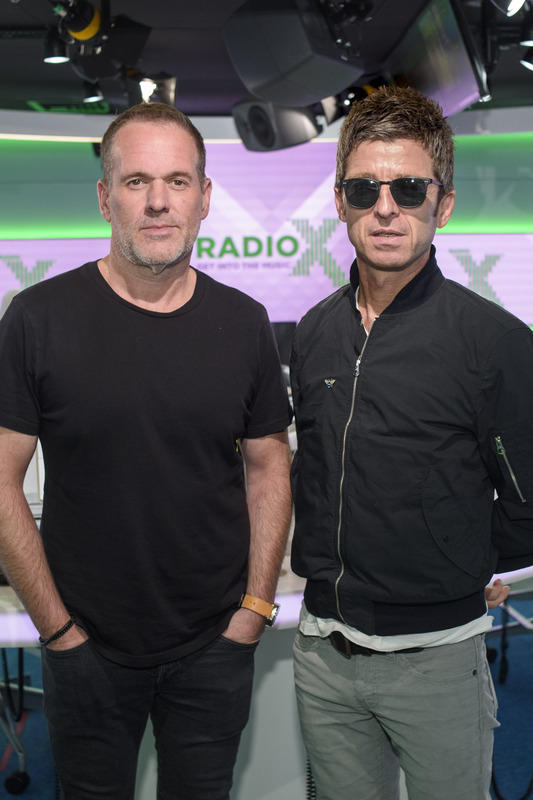 Noel Gallagher has been telling Radio X that his new album who Built The Moon is something of a departure for the former Oasis man… In fact, there’s one song on there where he sounds like classic Motown singer Marvin Gaye! Holy Mountain has been released as a single today and it's the first preview from the third Noel Gallagher’s High Flying Birds album, which drops on 24 November. Noel explained that working with producer David Holmes has led to some unusual results from the king of the indie guitar sound. Producer Holmes couldn’t remember the point in recording when Noel had suddenly piped up with a voice like the legendary soul singer, best known for classic Motown tracks like What’s Going On and I Heard It Through The Grapevine. Noel said of the album: “It's been finished since March, so by the time it comes out, again it will be, kind of, nine months old. Because the tracks have been sent out, you're kind of waking up every day, turning your phone on, open one eye thinking, "Has it been leaked today? Is today the day?" Asked by Moyles if he was worried if the album was going to leak in advance of the 24 November release date, Noel assured us that his label “runs a tight ship” and that you’re unlikely to be hearing any more tracks BEFORE the album is released… unless Noel wants you to. He added: “D’you know what, to be quite honest, I wouldn't mind [if it leaked], because it's that good. Gallagher will also play a series of UK and Ireland dates starting in April 2018.